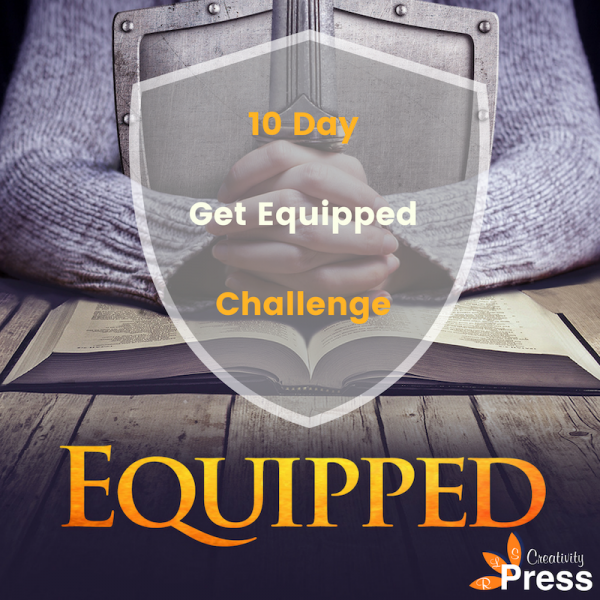 For the past several days, I have been hosting a 10 Day Devotional Challenge. (To find all the posts, type “10 Day Devotional Challenge” into my website search bar.) You can read the posts here and comment below to discuss what you’ve read. You may also join the discussion in my Equipped Facebook Group. 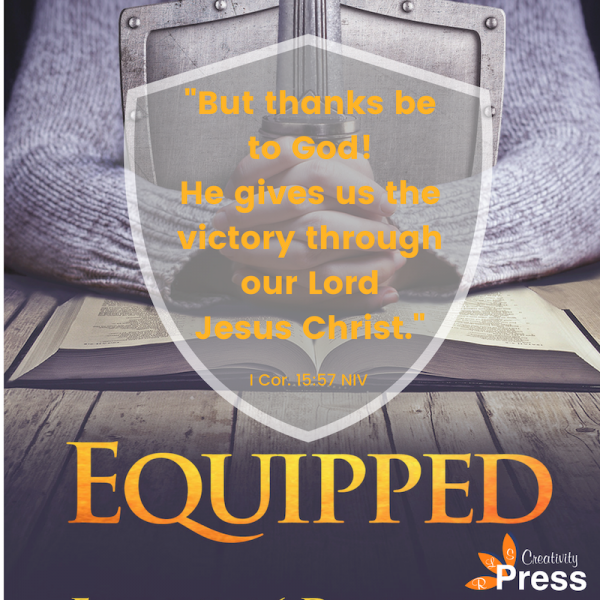 If you don’t already have a copy of my book, Equipped, you can purchase it at mybook.to/Equipped or ask for it at your local bookstore. For a discount on quantity orders (10 copies or more), please contact me at RuthLSnyder at me dot com. One of the therapists who worked with our family gave us an interesting challenge: record the conversation around your breakfast table. After breakfast is over, listen to the conversation and track how many positive statements were made, and how many negative or critical statements were made. Then compare the numbers. He challenged us to aim for at least two positive statements for every negative one. Have you noticed that it’s easier to criticize than to give thanks? “For although they knew God, they neither glorified him as God nor gave thanks to him, but their thinking became futile and their foolish hearts were darkened” (emphasis mine). •Gratitude can increase your circle of friends. •Gratitude helps you feel healthier, with fewer aches and pains. •Gratitude increases sensitivity to others and reduces revengeful thoughts. •Gratitude helps you sleep better. •Gratitude decreases stress and helps you overcome trauma. If you’re not familiar with Ann Voskamp’s book, 1,000 Gifts, I encourage you to obtain a copy and read how a challenge from Ann’s friend led her on a journey that totally changed the course of her life. •1 Chronicles 16:34 – Give thanks because God is good and his love is forever. •2 Chronicles 20:21 – Men were appointed to sing to the Lord and praise him as they went ahead of the army! •Psalm 7:17 – Give thanks for God’s righteousness and sing. •Psalm 100:4 – Enter God’s courts with praise and give thanks to Him. •Colossians 2:7 – We are to overflow with thankfulness. •Hebrews 12:28 – Thankfulness is part of acceptable worship. •1 Thessalonians 5:18 – It is God’s will for us to give thanks in all circumstances. We live in a very negative world, but we can choose to focus on God’s goodness, which never changes. We can also choose to see the gifts God gives us every day. Along with physical and emotional benefits, gratitude has incredible spiritual benefits. Ephesians 4:26-27 remind us to deal with anger and not allow Satan to gain a foothold in our lives. We all know that character is built one thought and one choice at a time. Let’s choose to allow the Holy Spirit to grow his fruit and character in us by being intentional about giving thanks to God! Do you make it a practice to be thankful? Are there any roots of bitterness you need to allow the Holy Spirit to uproot from your life? Journal your thoughts, or respond in another way that is meaningful to you. Thank you for reminding me of the importance of gratitude. Show me if there are any roots of bitterness I need to ask you to uproot. Help me today to be aware of your presence in my life, and help me to be thankful. In Jesus’ name, Amen.